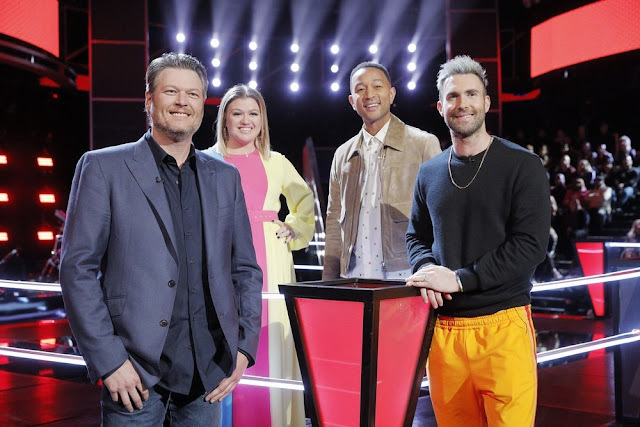 Reality competition series “The Voice” will debut its first-ever, 10-part “Comeback Stage” companion series in its upcoming 15th season, which premieres Monday, Sept. 24 at 8 p.m. ET/PT on NBC. Country music star and acclaimed singer, songwriter and performer Kelsea Ballerini will serve as the companion series’ “fifth coach” and mentor six deserving comeback artists who auditioned for coaches Kelly Clarkson, Jennifer Hudson, Adam Levine and Blake Shelton during the Blind Auditions but did not make a team. These six Comeback Artists will compete for a chance to re-enter “The Voice” competition and earn a spot in the Top 13 live shows in November. During the series, Ballerini will pair the six Comeback Artists into three Battle Pairings, coaching each artist on an individual song. These artists will go head to head in a Battle Round, and Ballerini will determine the winner of each Battle Round. During the Blind Auditions, the four coaches vie to discover and coach the next singing phenomenon from the country’s best vocalists. Adding another layer of excitement this season is the return of the “block,” which gives each coach the opportunity to block a fellow coach during the Blind Auditions so that the blocked coach is unable to recruit the artist on their team. “The Voice” is a presentation of MGM Television, Talpa Media USA Inc. and Warner Horizon Unscripted & Alternative Television. The series was created by John de Mol, who serves as executive producer along with Mark Burnett, Audrey Morrissey, Amanda Zucker, Kyra Thompson and Stijn Bakkers.